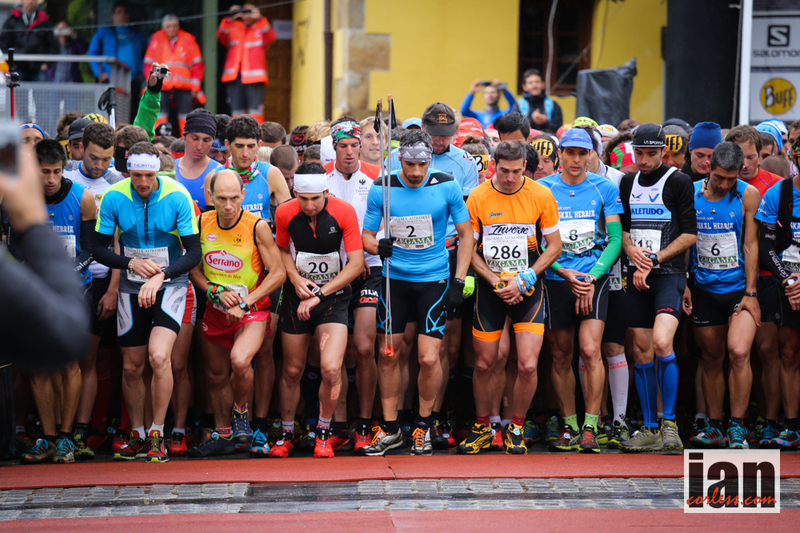 It’s Zegama-Aizkorri time and on May 17 yet another classic edition of the iconic Skyrunning race will take place. A permanent feature on the Skyrunner® World Series since 2004, the 42 km race has a tough 5472m ascent and descent and attracts a consistently high quality field. This year, the iconic race will also award the European title for the Sky distance, together with points for the Skyrunner® Series. As one would expect, a quality field will assemble in this small town, however, make a note… the race will not have Luis Alberto Hernando or Kilian Jornet toe the line. For the men Marco De Gasperi heads up a strong field closely followed by Ricky Lightfoot, Michel Lanne, Aritz Egea, Manuel Merillas and Zaid Ait Malek. The ladies race is set to be a classic with Laura Orgue, Elisa Desco, Maite Maiora and Emelie Forsberg (tbc) doing battle on these challenging trails and mountain paths. 34 elite athletes on the 2014 ISF Ranking will be among the 600 runners lining up and the racing will be fast and furious. 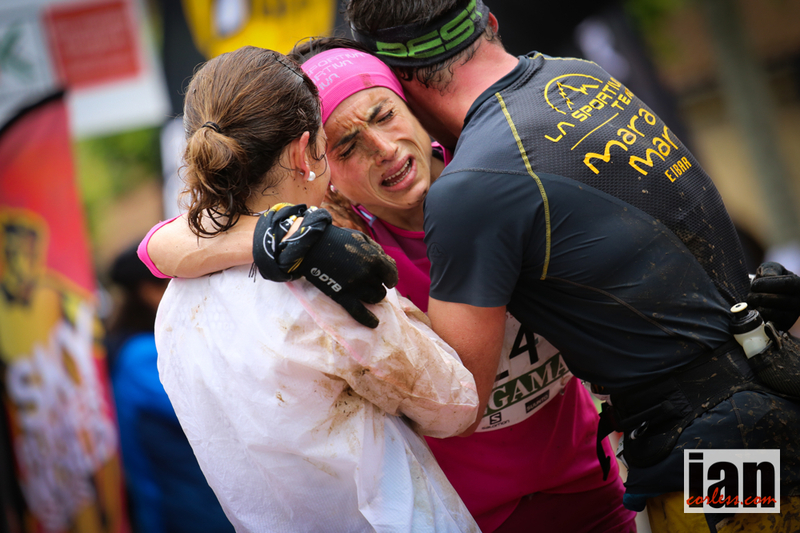 Zegama has become a beacon in the world of Sky and mountain running and as such it’s race that attracts as many spectators as it does runners. The atmosphere is always incredible and the weather, well that can be somewhat unpredictable. It certainly can play a key factor in the final outcome. 2014 winners Kilian Jornet and Stevie Kremer will not so we can expect fireworks from both the ladies and the men’s fields. Marco De Gasperi on paper has all the skills and power to take victory but an in form Ricky Lightfoot fresh from a fell running victory in the UK is all set to upset the apple cart. Michel Lanne has been stretched with work recently but still produced a quality run at Buffalo Stampede and with less travel and fresh legs he will also be a podium contender. Tadei Pivk, Zaid Ait Malek, Ionut Zinca and Aritz Egea will all be pushing the pace and to be honest, as past records show, any of them could dislodge the podium screws. Manuel Merillas recently had a tough day at Transvulcania and one has to ask how much impact that will have on his reserves for Zegama. Expect fireworks, the Zegama-Aizkorri script has been written and ripped up many times before, I don’t this current edition will be any different. 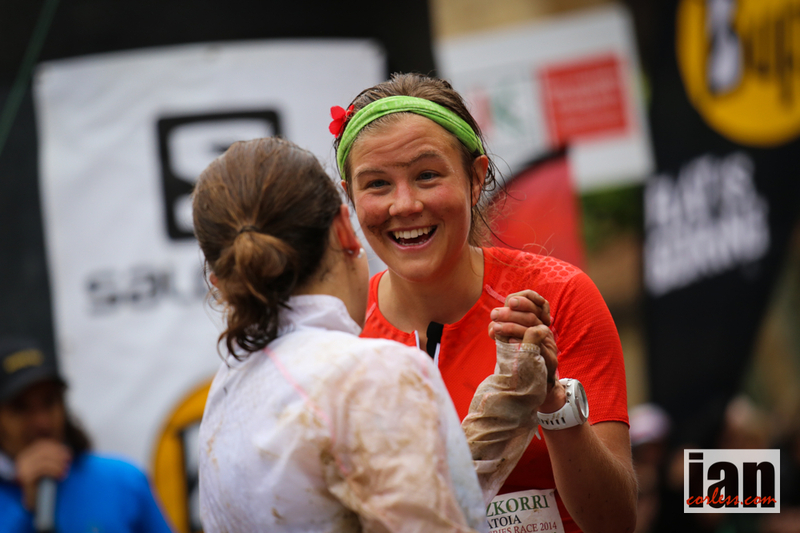 Emelie Forsberg is still undecided if she will run Zegama after taking victory at last weeks Transvulcania. To be honest I think she will run but may well lack some of the explosive speed required to win this race. In all honesty, I have to give a nod for Elisa Desco, Maite Maiora, Oihana Kortazar and Laura Orgue for the top slot. Who’s going to win? I don’t know! I genuinely feel that the podium places will be made up of these top 5 and who places where will all come down to the day and the variables that any race can throw at runners. 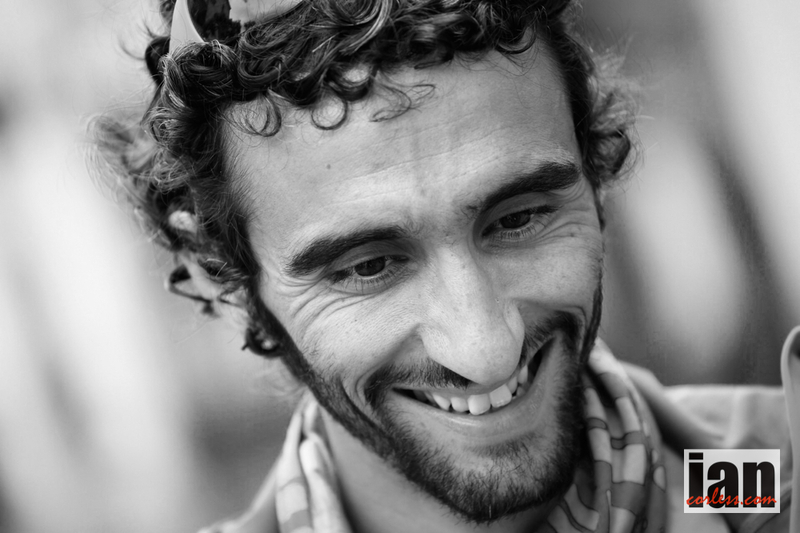 The records to beat are by Kilian Jornet (3h48’38’’) and Emanuela Brizio (4h38’19’’). Action will get underway on Sunday and you can follow on Facebook and twitter for updates. Ionut Zinca (Rank 2 – ROU), Marco De Gasperi (Rank 3 – ITA), Tadei Pivk (Rank 4 – ITA), Zaid Ait Malek (Rank 6 – MAR), Aritz Egea (Rank 7 – ESP), Alfredo Gil (Rank 10 – ESP), Jokin Lizeaga (Rank 12 – ESP), Michel Lanne (Rank 19 – FRA), Eirik Haugsnes (Rank 20 – NOR), Manuel Merillas (Rank 25 – ESP), Hassan Ait (Rank 27 – ESP), Jessed Hernandez (Rank 32 – ESP), Pere Rullan (Rank 33 – ESP), Imanol Goni (Rank 35 – ESP), Florian Reichert (Rank 37 – GER), Cristobal Adell (Rank 38 – ESP), Iban Letamendi (Rank 41 – ESP), Ricky Lightfoot (Rank Ultra 54 – GBR), Dai Matsumoto (Rank 56 – JPN), Ricardo Mejia (Rank 59 – MEX), Pere Aurell (Rank 60 – ESP), Fernando Arca (Rank 82 – ESP). Emelie Forsberg (Rank 1 – SWE), Maite Maiora (Rank 3 – ESP), Elisa Desco (Rank 6 – ITA), Nuria Domínguez (Rank 8 – ESP), Uxue Fraile (Rank 11 – ESP), Laura Orgue (Rank 15 – ESP), Federica Boifava (Rank Ultra 16 – ITA), Aitziber Ibarbia (Rank 26 – ESP), Ragna Debats (Rank 27 – NED), Nerea Amilibia (Rank 35 – ESP), Azara Garcia (Rank 39 – ESP). Top runners will not only compete for points in the World Series ranking, but titles and medals are at stake in this first edition of the European Championships. For the first time, a special prize will be awarded to the male and female European Champions: a prestigious Alpina Smartwatch, Official Watch of the 2014 Skyrunner® World Series and European Championships. 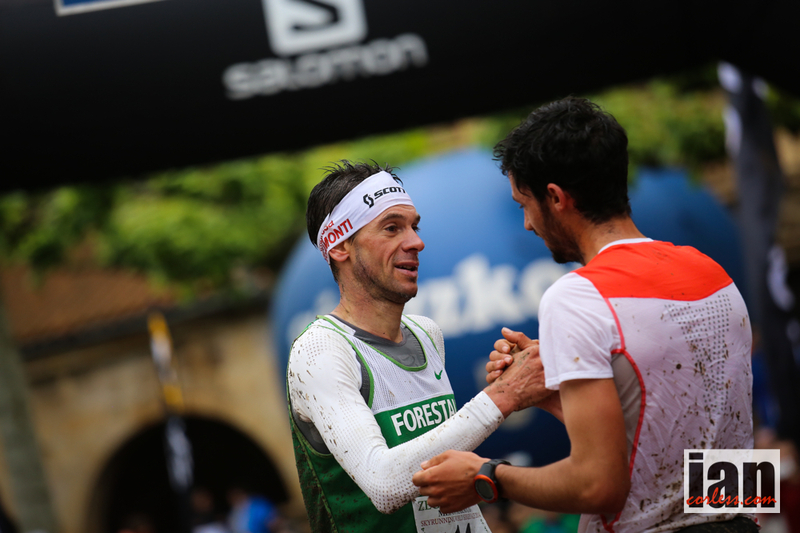 This entry was posted in Uncategorized and tagged Aizkorri, de gasperi, desco, Forsberg, ISF, luis, maiora, Orgue, Running, Sky, Skyrunning, Spain, Zegama, Zinca by talkultra. Bookmark the permalink.